When I decided to move abroad I realized there would be a lot of things I needed to work out, but none more important than what I needed to do for my pets. I knew they were coming with me without question, so I needed to learn what the steps were to bring them overseas with me. The steps vary based on the country you are moving to, so be prepared to do some research on your own as I can’t cover every rule for every country regarding importing pets. When I first moved abroad I was going to a Middle Eastern country with extremely strict animal import rules, plus, because I was moving in the summertime my dogs couldn’t come until a few months after I left because airlines won’t fly with pets in cargo during the hot summer months. I determined that the safest thing for me to do in regards to bringing my pets with me was to hire a pet relocation company that knew all the rules and did a “door-to-door” relocation service. These companies are truly helpful and do all the work but the cost is very high- it cost me close to $10,000 to import my dogs to the Middle East, and a coworker of mine used a company to relocate their three cats and the cost for their cats was close to $6,000. Thankfully because this blog is about relocating to Berlin the costs and amount of work involved are nowhere near as intense as what I faced five years ago. 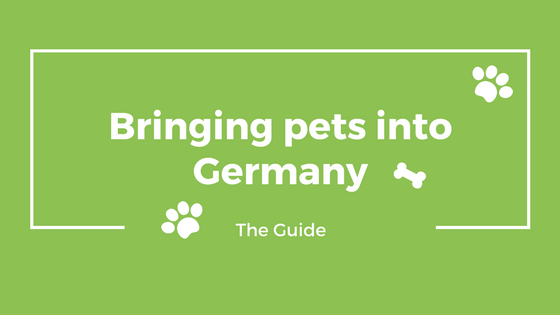 To import your pets into Germany these are the steps you need to take (remember that these steps only cover dogs, cats and ferrets); you need to start this process at least 21 days before you travel with the pets. 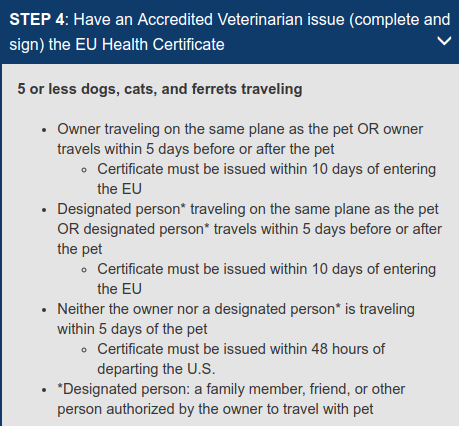 First you should go to your regular vet and learn whether they know the paperwork and rules for importing pets to Europe. Some vets are familiar with this and some aren’t, so if your vet isn’t familiar they should be able to refer you to one in your area that is able to assist. 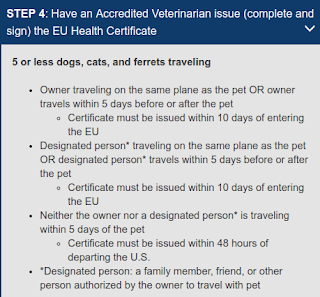 The required paperwork for entry of your pets into Europe is called the “ANNEX II” and needs to be filled out by the vet and stamped by the local USDA office. The two things your pets need to enter Europe is a rabies vaccination and an EU-compatible microchip; the microchip must be an ISO 15-digit chip. This is crucial: your pet must have a rabies vaccination AFTER the chip is placed and AT LEAST 21 days before your flight departs (this has to happen even if your pet already has a valid rabies vaccination). Now, at this point, my personal knowledge of bringing pets from America to Germany ends because I used the pet relocation service, but I did research and learned that the ANNEX II needs to be filled out only 10 days before your departure. Then the ANNEX II needs to be either mailed or taken by hand to the local USDA office; within ten days of the USDA certification you have to enter a European country, so this is a very tight timeframe that you have to work within. Along with these documents, you need to also contact the airlines and learn what the requirements will be and the costs included; depending on the size of the pets they might be able to travel in the cabin or, you will need to get airline approved pet carriers for them to travel in the special cargo section. The airlines all have different allowances and restrictions regarding pet travel, so you need to contact them and learn the specifics for the airline that you choose to for your travel. Once you’ve learned the airline rules and follow the steps that they require, and you have all of the documentation in hand, you and your pet are ready to travel. 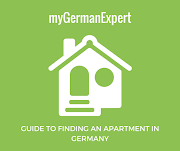 For more details about relocating your dog from the U.S. to Germany, visit this website. I will include more information regarding the day of travel in the next blog post.